No wonder, ever since the 15 independent candidates filed their nominations, both Mr. Vithal Rao and Mr. Chandrasekhar Rao became jittery. They kept sending feelers to them to either withdraw from contest or not to campaign vigorously in the Lok Sabha constituency having seven Assembly segments. Not yielding to pressure, they doggedly campaigned on barefoot in all the seven segments. They did not have the fancy SUVs, star campaigners, money and manpower to take on the “giants” but they indeed took them on. They gave them some tense moments and mustered enough support to prove their point that they cannot be left in the lurch after denying them their only source of livelihood, land. The break-up of votes secured by the Polepally’s poll team was, Y. Lingaiah (2977), M. A. Jabbar (2084), K. Kurmaiah (2949), M. Pandu (2718), V. Venkatesh (4064), Seeniah Goud (6064), K. Narsimhulu(2663), D. Sayanna (1937), Chinna Venkaiah (2426), Ravinder Goud (13996), G, Narasimhulu (3740) and four women – Sattemma (2966), B. Lakshmamma (9811), Mala Jangilamma (1854) and Rangamma (2000). Though not victims, two other supporters Maisaiah and Jangaiah got 4064 and Jangaiah 11,268. “It is not the question of whether they helped Mr. Chandrasekhar Rao win or Mr. Vithal Rao to lose but the issue of atrocious SEZ policy they have brought into focus. 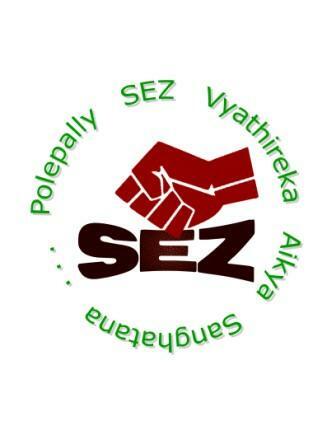 They demonstrated what the poor, the displaced and the exploited villagers can still do by carrying out an uncompromising struggle for justice,” said Sujatha Surepally of Polepally anti- SEZ struggle committee. It is a repeat of what they did in Assembly by-elections to Jadcherla in May 2008. At that time, 13 of them contested and secured 13,000 votes, enough to defeat the TRS legislator.